Joan and her husband Warren were looking to replace their driveway. 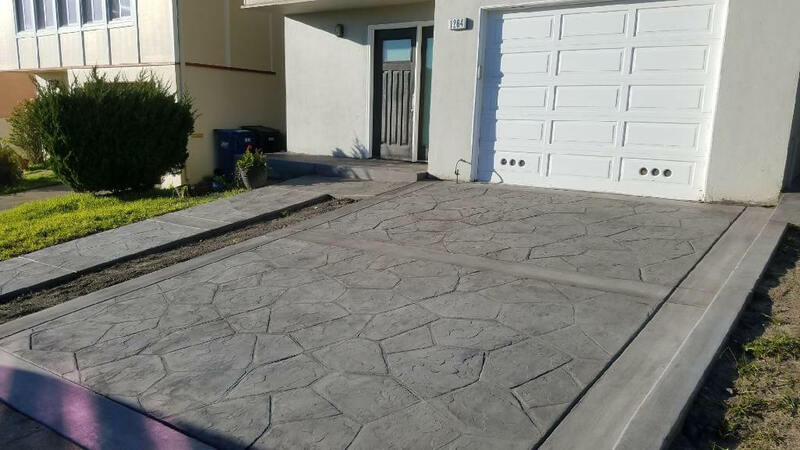 After seeing another driveway in their neighborhood that they liked, they contacted us to see if we could match it. 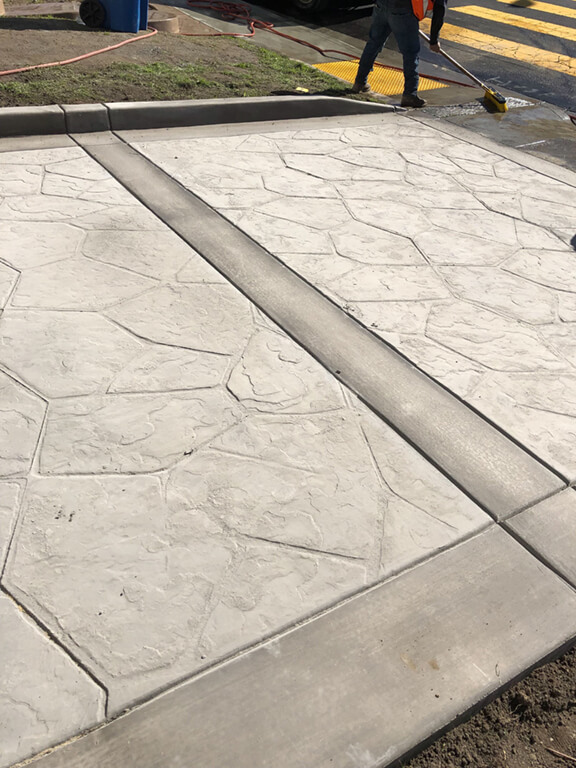 They wanted to have stamped concrete with a flagstone pattern. This is a popular choice. 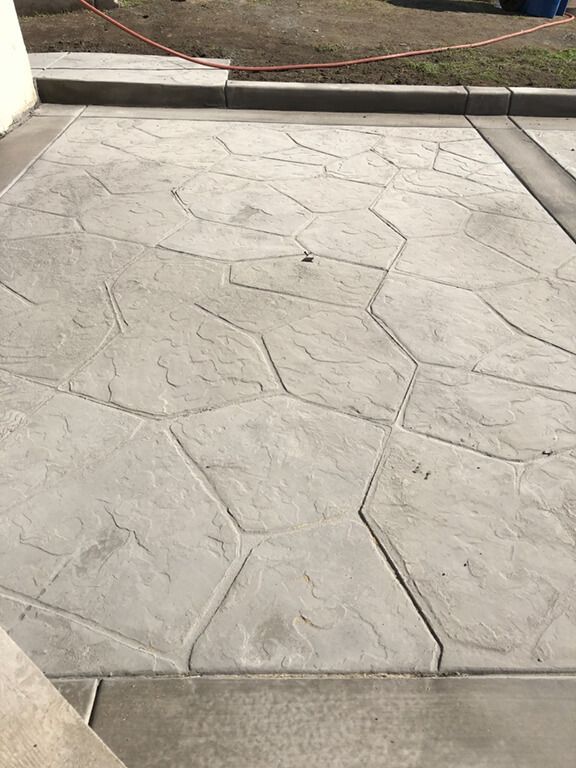 It offers the look of natural stone, without the hefty price tag. After the initial call with us and an on-site visit from our estimator, Abel, Joan knew that she’d be in good hands. Joan wanted to start the project in the new year and was surprised we were able to get it scheduled much faster than she originally expected. Joan felt that the entire process was easy. We answered all questions right away and Warren especially liked that we included the care instructions. 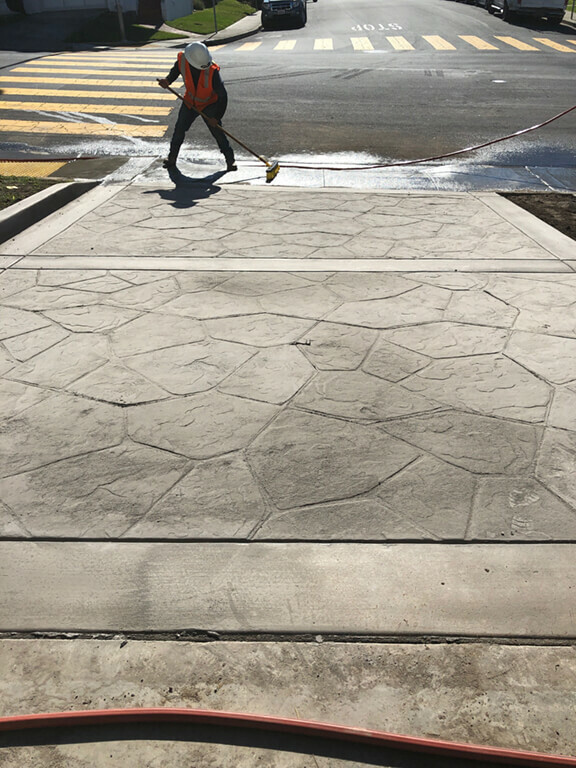 Shortly after the project was finished, a few neighbors even stopped by to compliment their new driveway.